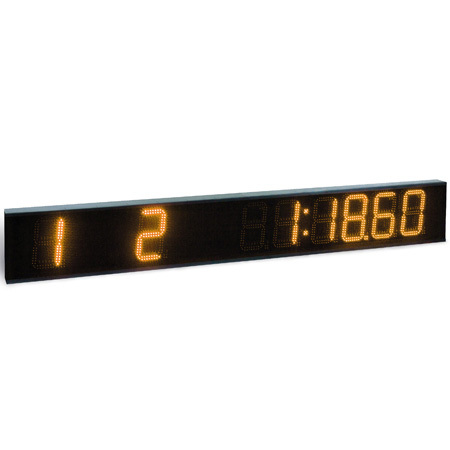 Numeric scoreboards can be set to display for swimming, diving, water polo, synchronized swimming and other sports. The scoreboard may also serve as a time-of-day clock and pace clock Available with 8 or 10 digits, 7 decimals, one colon and a non-glare weather-shield. 14”H x 97.625”W x 4”D. Weight: 45 lbs. 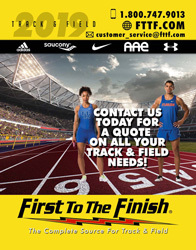 Indicates that item is available through Colorado Timing Systems.